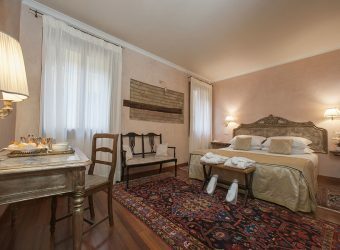 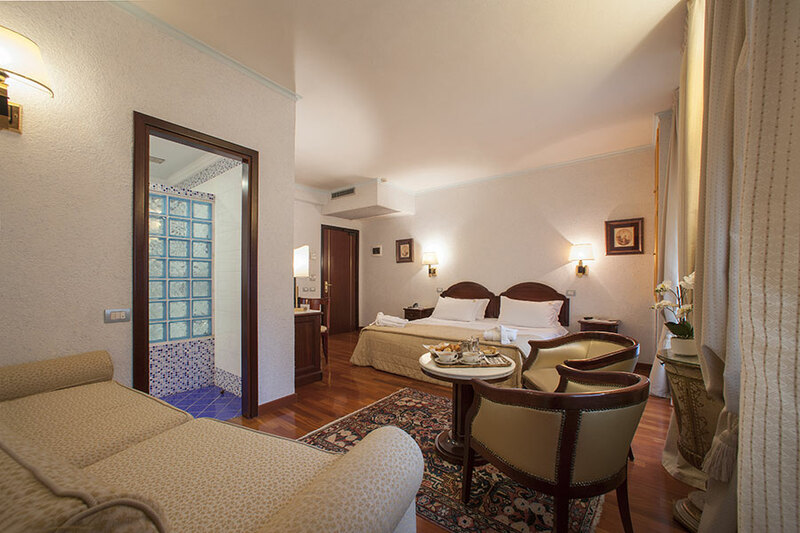 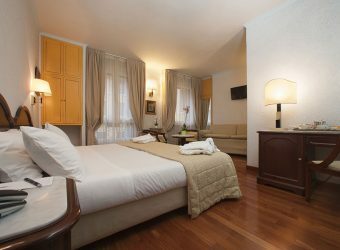 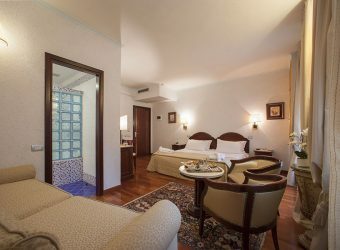 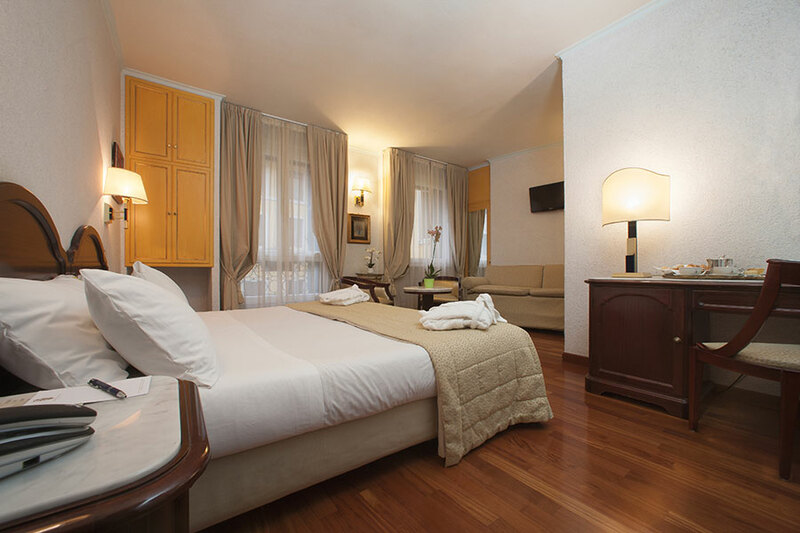 These rooms are very wide and comfortable (about 32 m2); they receive light from two windows over looking the little square in front of the hotel. 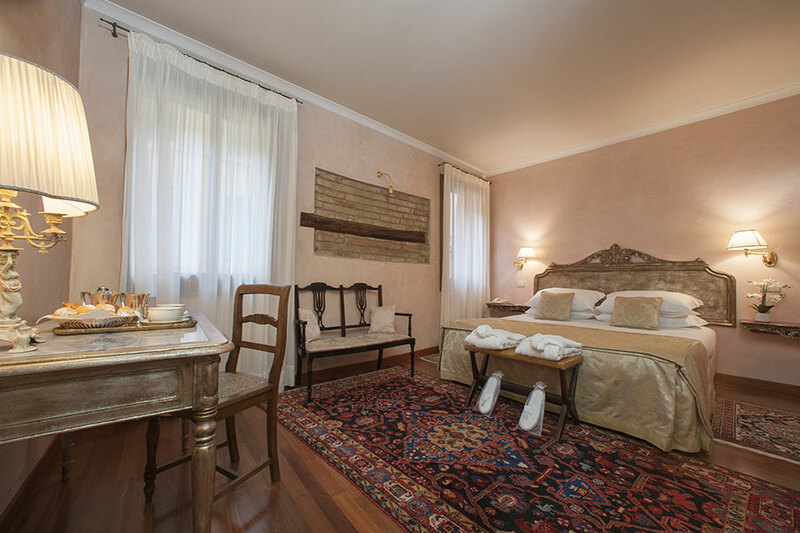 The beds are either doubles 2m wide, or twins. 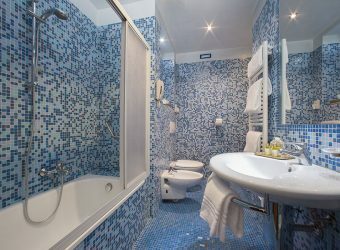 The Junior Suites have a bedroom and a reading corner with a sofa which can be transformed into 2 beds, which makes the room ideal for families with young children. 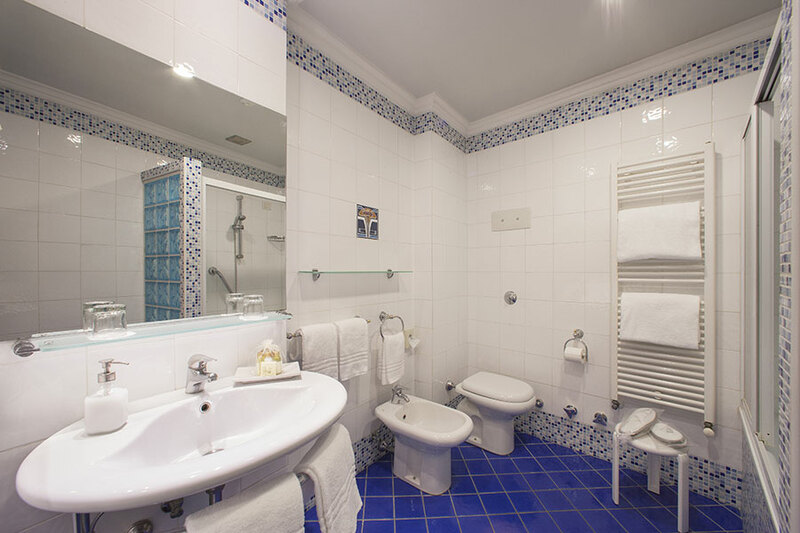 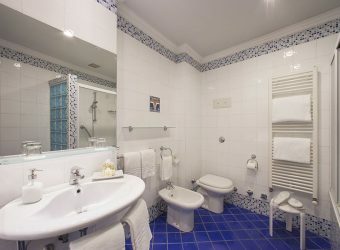 The bathrooms are spacious and have been recently renovated.